We are looking for a PhD student to be integrated in the wastewater treatment research group at the Department of Civil and Environmental Engineering, division of Water Environment Technology (WET). WET focuses on research and education in the water and wastewater sector. WET has scientists and expertise in waves and hydraulics, process engineering, environment and sustainability. WET has a total staff of around 20 persons. Collaboration across disciplines such as environmental engineering, hydraulic engineering, process technology and microbiology is the basis for research and educational activities. The main research areas are microbiological process in wastewater treatment; risk evaluation and treatment of contaminated areas (competence centre in risk evaluation, FRIST); drinking water systems (framework program for drinking water research at Chalmers, DRICKS); and global pathways for environmental contaminants. The overall aim of this project is to achieve more efficient, less energy consuming and compact wastewater treatment by using sequencing batch reactor (SBR) technology for granular activated sludge. When wastewater is treated by the commonly used activated sludge process, large reactor volumes are needed, especially when biological nutrient removal is applied. In the last decade aerobic granular sludge has been studied world-wide due to its promising performance. Aerobic granules are sphere-like aggregates of bacteria. The project is a collaboration between WET and CMB/microbiology, Göteborg University. The specific objectives of the project are to investigate: (1) the environmental factors that influence granule formation and stability; (2) the dynamics in microbial diversity and (3) the conversion processes of organic carbon, nitrogen and phosphorus in the granule system. The experimental work will be performed both at the environmental laboratory at WET and at CMB/microbiology. The project can start shortly after the selection procedure has been completed. 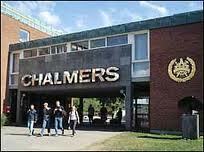 The position is limited to maximum 5 years, which corresponds to four years of full-time research studies and 20% teaching in the undergraduate or Master`s curricula at Chalmers. The candidate should have a M.Sc. in environmental engineering, biotechnology, bioengineering, microbiology or a corresponding curriculum. Experience with molecular microbiological techniques and experimental work including small-scale reactor experiments are advantageous. A PhD student in our group is expected to work relatively independently, have the ability to plan and organize his/her own work, to be able to work in close collaboration with other group members and partners in research and to be able to communicate scientific results, both orally and in written form in English. The application shall be sent electronically as pdf or zipped documents.Please use the button at the foot of the page to reach the application form. If any material is not available electronically or cannot be transferred to pdf format, the material can be sent as a hard copy to Registrar. The applicants name and the reference number (2011/83) must be written on the first page of the application. For further information, you are welcome to contact Associate Professor Britt-Marie Wilén, britt-marie.wilen@chalmers.se, Phone: +46 31 772 2153. Demikian kami sampaikan tentang PhD student in "wastewater treatment by aerobic granular sludge" at Chalmers University of Technology semoga informasi tentang PhD student in "wastewater treatment by aerobic granular sludge" at Chalmers University of Technology ini bermanfaat.